Willie Cochrane / Balmoral Highlanders, Bagpiper For Hire. Book for Burns Night, weddings & more. From solo piper to full pipe & drum band, with Scottish country dancers if required. The concept of The Balmoral Highlanders is versatility. From a private party to a full concert programme, The Highlanders can provide all your needs. Specialities include a solo bagpiper for weddings and receptions to any combination of solo and team dancers for both Highland and Scottish Country Dance. 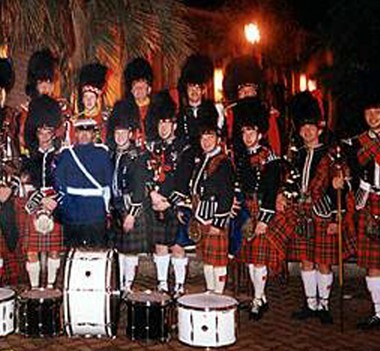 From a mini pipe band to full Pipes and Drums your occasion, both indoors or out, can be enhanced to the extent of your requirements. Pipe Major Willie Cochrane – Following a distinguished career as Pipe Major of one of Scotland’s most famous Regiments, The King’s Own Scottish Borderers, Willie Cochrane found himself in demand both in the United Kingdom and overseas as a professional piper, entertainer and ambassador extraordinary. His international successes encouraged him to form The Balmoral Highlanders to satisfy the enthusiastic demands being placed upon him. 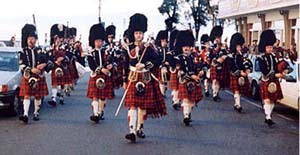 The ‘lads and lassies’ of the Highlanders are professional teams of Scottish entertainers with many years of experience as Pipers, Drummers and Dancers. Their origins can be traced from both the Highlands and Lowlands of Scotland. Their national dress and performance reflects the traditions of their homeland. Recent tours include Japan, Italy, Norway, USA, Germany, Bahamas, France, Canada and Switzerland. 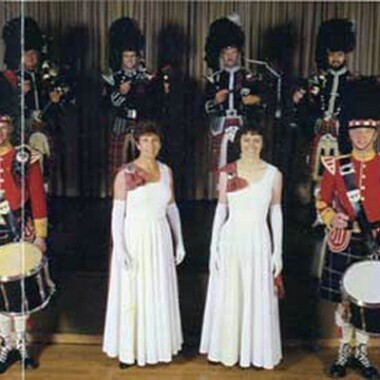 The Balmoral Highlanders are available for weddings, private parties, banquets, store openings, concerts, cabarets, promotions, advertising, recordings, television and films. Television appearances include Night of 100 Stars, Review of the Arts, Aspel & Co, Game For A Laugh, Des O’Connor Show and Suprise, Suprise as well as programmes in Italy, Germany, France, Canada and Bahamas.